From ancient times there is evidence of the anointing of the sick in the Church’s tradition, particularly in the Liturgical tradition, both in the East and the West, Worthy of special note is a letter from Pope Innocent to Decentius, the bishop of Gubbio, and also the ancient prayer used for blessing thee oil stock, “Lord…send the Holy Spirit, our Helper and Friend…” In the course of centuries of liturgical tradition, the parts of the body to be anointed with Holy oil were more explicitly defined in different ways. Several formularies of prayers were added to accompany the anointing’s and these are contained in the liturgical books of various churches. In addition, the teaching concerning the sacrament of anointing is expounded in the documents of the Ecumenical Councils of Florence, Trent and Vatican II. The prayer of faith will save the sick man and the Lord will raise him up. If he has committed any sins, they will be forgiven him. 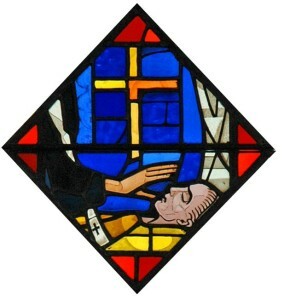 After the Council of Florence had described the essential elements of the sacrament of the anointing of the sick, the Council of Trent declared that it was of divine institution and explained what it taught in the Letter of James concerning Holy Anointing, especially about the reality signified and the effects of the sacrament: “This reality is in fact the grace of the Holy Spirit, whose anointing takes away sins, if any remain, and the remnants of sin; this anointing also raises up and strengthens the soul of the sick person, arousing a great confidence in the divine mercy; thus sustained, the sick person may bear the trials and hardships of sickness, more easily bear the temptations of the devil and sometimes regain bodily health, if this is expedient for the health of the soul. Vatican II adds the following: “‘Extreme Unction,’ which may also more properly be called ‘anointing of the sick,’ is not a sacrament for those who are only at the point of death. Hence, as anyone of the faithful begins to be in danger of death from sickness or old age, the fitting time for that person to receive the sacrament has certainly already arrived. When should I receive the sacrament of the Sick? When you or a loved one are admitted to a hospital or nursing home the institution will ask for your religious affiliation and will ask if you want to see receive the sacrament of the sick. In the case of the (Jordan) Beth Isreal/New England Deaconess Hospital South in Plymouth, they will ask your faith, and the lay Catholic Chaplain will visit and ask if you would like to receive the sacrament of the Sick. If I am going in for surgery, can I receive the Sacrament of the Sick before I have to go to the hospital? Yes. It is helpful to approach the priest prior to Mass and ask for this Sacrament; you might have to wait until the end of Mass, but this provides the priest an opportunity to silently remember you in that Mass. If you are unable to get to Mass, but still seek the Sacrament, you can contact the parish office and make an appointment with the priest for some time during the week.